Freezing Russian assets that include but not limited to property, U.S. visas for Russian visitors, and banning U.S. exports to Russia. In addition, the existing strict sanctions imposed by both the United States and the European Union prevents Russian businesses (defense, banking, finance, and energy) to raise credit from European economic institutions. This prevents the Russians from funding various economic development projects that are crucial to diversifying and strengthening their decaying infrastructure. It is also important to note that this also bars any importing and exporting of goods and services with Russia, except for the sale of gas to EU members who are especially dependent on Russian oil supplies (particularly Germany and Italy). The Russian government budget is mainly dependent on oil revenue since their economy lacks a well-diversified and fortified economy that could have weathered out sanctions more effectively. However, two crucial economic events prohibited Russia’s ability to weather out sanctions. The first is the global decline in oil prices where a barrel of oil averaged $100 and since 2014, has averaged in the mid to high $40 range. The second big economic event that greatly impacted their economy is a surge in inflation from 7.8% to 15.8% in October 2015, which created a collapse in the Russian ruble currency that significantly reduced its purchasing power of goods and services from 62 to 29 rubles per dollar. 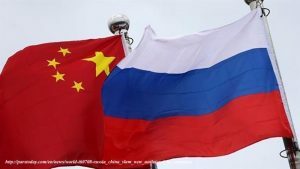 Purchasing power and revenue stream were greatly impacted by these two economic events, which led to the streamlining of Russia’s relationship with the Chinese government. The two countries have been gradually rebuilding their relationship since the end of the Cold War, and the evolution to creating the Shanghai Cooperation Organization (SCO) is a pure example of that process. More importantly, the two are not on equal footing in terms of global power and policy projection in the international system. However, for the first time in decades these two ancient neighbors share similar interests and concerns regarding the United States and the West. In particular, Russia and China are both centered on the idea of being less reliant on Western global and economic institutions that determine the outlook of their economic, political, and social structures. Other than both being authoritarian regimes, they also oppose U.S. and NATO policies and presence concerning each of their regions of influence in Eastern Europe and Southeast Asia. 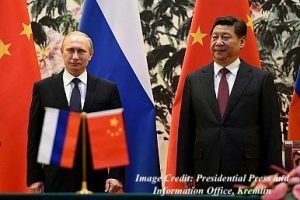 The Russian pivot to Asia has enabled the streamlining of Russian and Chinese relations in terms of political and economic collaborations. For instance, the two have speed up the process of negotiating long-term energy contracts that make Russia surpass Saudi Arabia as the top energy producer for China, which can make them less reliant on international maritime oil shipping from the Middle East (Strait of Hormuz and Strait of Malacca). 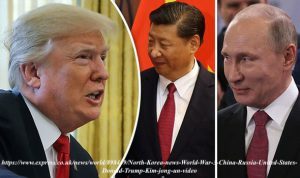 There are several trade, financial, investment, and political deals the two have been working on, including the Russian willingness to sell some of its most advanced weapons systems, such as their Su-35 fighter jet and S-400 surface-to-air missile (SAM) defense system. Previously the Russians have not been so willing to share this technology given their concerns over Chinese colonization of Far East Siberia and fear of a military invasion, which Russian foreign policy circles have raised in the past. However, this appears to have changed with Russia’s shift to Asia and these weapons systems could be used for China’s edge over Taiwan, or to further strengthen the Air Defense Identification Zones (ADIZ) that they have asserted in areas throughout the South China Sea that places Chinese regulation over space that can be contested by other regional powers like Japan, Philippines, Singapore, Malaysia, Vietnam, and India. Another key indicator of the two countries improving relations is through their efforts to promote and build China’s Belt and Road (OBOR) and Silk Road initiatives that are sponsored under the SCO as a whole. These initiatives, if successful could be monumental in terms of improving regional economic trade and power projection by the Chinese government. The OBOR and Silk Road initiatives goals are to revitalize the ancient trade routes by connecting Asia to Europe, Middle East, Africa, and Oceana through transportation infrastructures and free trade zones. In addition, this project could also provide greater access and exposure to markets than they would have otherwise. This is still a very risky undertaking by the Chinese as they are pouring in over $890 billion in over 900 projects to over 60 countries. Russia alone is getting $40 billion on transportation infrastructure projects that will span through Western China, Central Asia, Russia, Middle East, and Europe. However, many of the countries involved do not necessarily have great credit ratings so it’s a huge gamble for the Chinese to initiate this in long run. But it’s important to note that if successful, this project would give China and its partners in Asia and Eurasia to become an even greater powerhouse in the next round of globalization, and thus limit U.S. and Western influence in the area as a whole. In addition, it would also provide China the opportunity to be less reliant on global maritime shipping lanes since they’ll have more access to land routes that previously weren’t available. Note: This article was originally published on September 1, 2017 for Fulcrum Global, the publishing arm of The Society for Defense and Strategic Studies at American Military University (part of American Public University System) and can be accessed here.